The best quality amber jewellery. Wholesale of amber jewellery. Arkada Art - the best quality silver and amber jewellery. Natural Baltic amber from Poland. We warrant the highest quality and unique design of our jewellery. The high quality of our products, their low prices, wide assortment and prompt deliveries makes us very competitive to the other jewellery business. Unique amber jewellery from Poland. "A man came to our house with a golden necklace intertwined with amber.All the girls and respectable mother held it, touched it unable to take their eyes off it, and tried to bargain for a good price." Exclusive silver and amber jewellery. Natural Baltic amber jewellery. 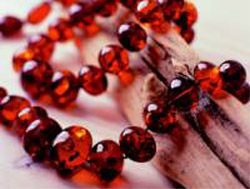 The best quality modern amber jewellery from Poland - manufacture and wholesale. Amber goods and amber jewellery. Natural Baltic amber jewellery.